Marc Dabo – the sole heir of a certain Marcel Blondeau – visits the house he has inherited, in the company of his two cousins. In it, he discovers extraordinary equipment for animated films. The three characters recreate this incredible studio before the audience’s eyes. Marcel Blondeau, a humble TV repairman used everything he could lay his hands on: souvenir plates depicting European tourist destinations, drainpipes, a fridge or a kitchen whisk. 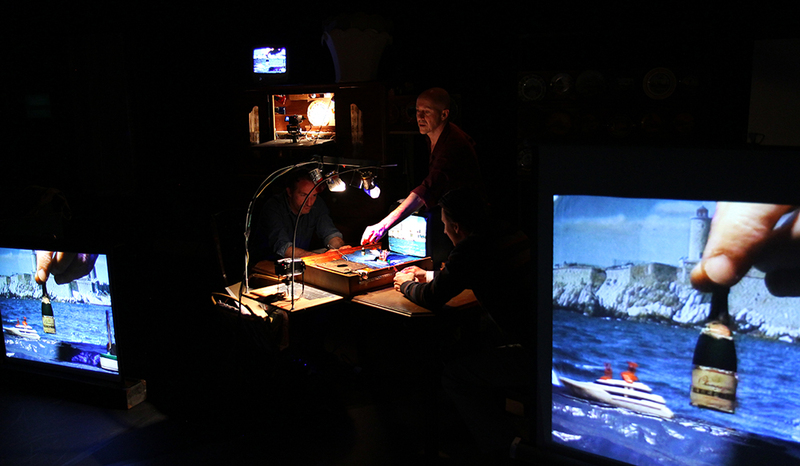 The actors switch on these machines which use age-old animation techniques, inlayed videos, the principles of technicolour and endoscopic cameras to bring the scenarios written by Marcel Blondeau to life. Through this treasure hunt, Marc Dabo gradually uncovers a family secret and the dream existence of this little-known relative who was a brilliant filmmaker. Here, theatre and live cinema come together to explore a lost continent – that of the imagination. "The ingenuity and the virtuosity of the manipulation of images and objects, the subdued melancholy and the poetical strength of the story, in addition to the subtle interplay of the three actor-manipulators makes this a delightful exception in the world of puppetry. An absolute must-see ." In opposition to our society, which is drowning in goods that turn us into passive consumers, certain inventors are finding new ways to enchant us. By tinkering with objects, through poetry and by repurposing everyday objects, they are opening doors to freedom of thought and giving substance to the imagination. Benoît Faivre wanted to pay tribute to them. To create the character of Marcel Blondeau, he drew inspiration from his grandfather and the creators of Art Brut, such as Ferdinand Cheval, the postman who built his Palais Idéal [Ideal Palace] with stones he collected in the countryside. Marcel Blondeau, a simple electrician, also ventured outside traditional constraints to create his life’s work using the resources at hand. His image machines tell the story of a naive epic, filled with romance, travel and adventures throughout the world. 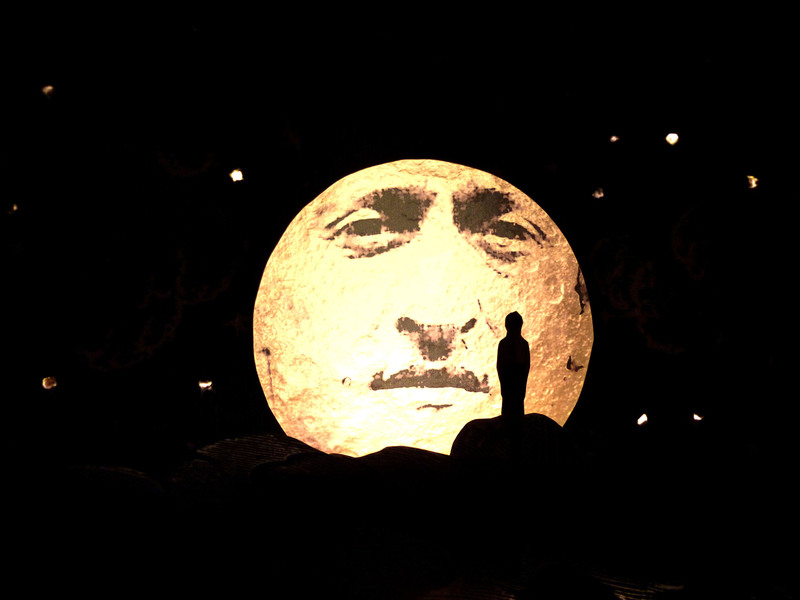 Benoît Faivre also pays a glowing tribute to the magicians of early cinema, in particular Georges Méliès, a former illusionist and the father of science-fiction cinema with his Journey to the Moon in 1902. Cockpit Cuisine combines theatre and film-making in a wildly daring show. 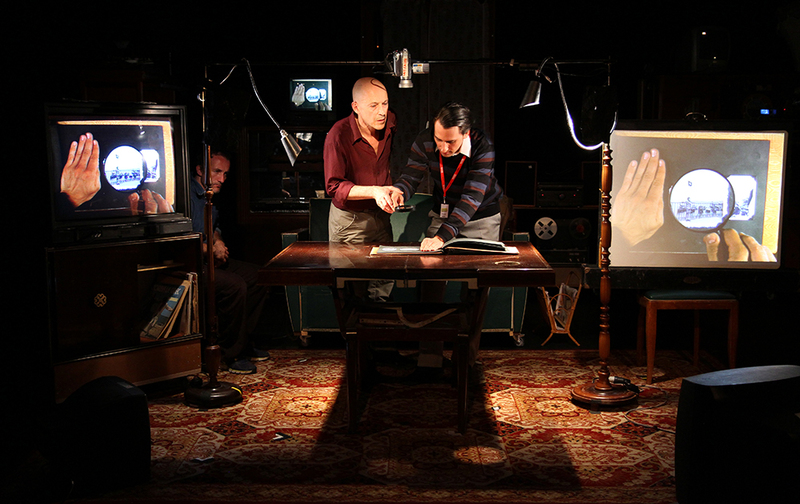 The audience witnesses a genuine technical achievement: three actors using five cameras, four computers and ten television sets and screens, all live on stage. They manipulate elements of the stage set and ‘low-tech’ effects with incredible precision. In this way, the audience sees each step in the process: the transformation of furniture into film projectors, the metamorphosis of everyday objects, the filming and the backstage off-screen. The staging of the show enables the audience to watch the creative process and the result simultaneously on the screen, like a live animation. The camera gives us the perspective of the absent filmmaker, Marcel Blondeau, and draws us into his imagination. 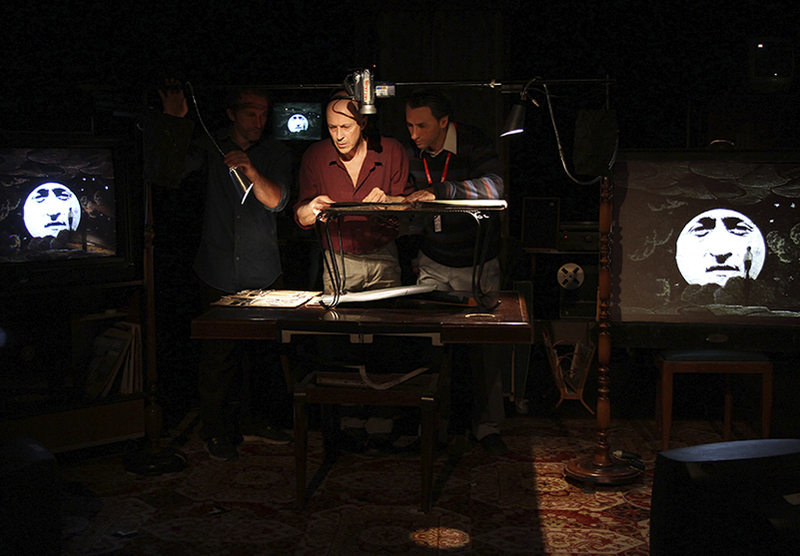 The show also includes a paper theatre sequence, to which Tommy Laszlo has contributed: this was the starting point for the artistic project that led to the “Paper Worlds cycle”. "Art Brut (...), combining low-tech and more advanced technologies. Video, multi-screen installations, montages, experiments with scale and magnification: the image is created before our eyes. Benoît Faivre and his partners – gifted tinkerers one and all – manipulate a chaotic mess in which each object finds its place, transformed by the live camera, which provides a second level of narration."